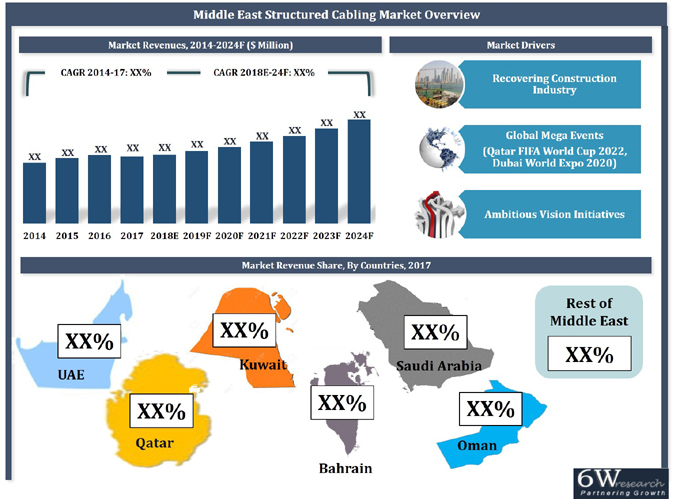 The development of large-scale commercial projects, efforts being made to strengthen the non-oil sectors along with construction of infrastructure projects to prepare for upcoming mega events, such as World Expo 2020 and FIFA World Cup 2022, would be few of the key drivers behind the growth of the Middle Eastern structured cabling market over the coming years. In addition, government plans, such as Saudi Vision 2030, Qatar National Vision 2030 and Dubai Vision 2021, are also expected to boost the growth of the non-oil economy of many countries in the Middle Eastern region. On account of the heavy usage of structured cabling solutions in the segment, the commercial sector is the leading market revenue shareholder in the overall structured cabling market, by application. With the social infrastructure segment of many Middle Eastern countries poised for further development in the future, the dominance of the commercial sector is expected to continue during the forecast period as well. The report thoroughly covers the Middle East structured cabling market by product types, cable types, component types, applications and countries. The report provides an unbiased and detailed analysis of the on-going trends, opportunities/high growth areas, market drivers, which would help stakeholders to device and align market strategies according to the current and future market dynamics. 15.2 Leviton Manufacturing Company, Inc.
15.5 CommScope Holding Company, Inc.
15.7 The Siemon Company LLC.